When the snow is not flying the @MaineSkiFamily crew likes to get out the fishing boat and spend some quality time on the waters of Maine. Maine offers some great fisheries for all different kind of species of fish. 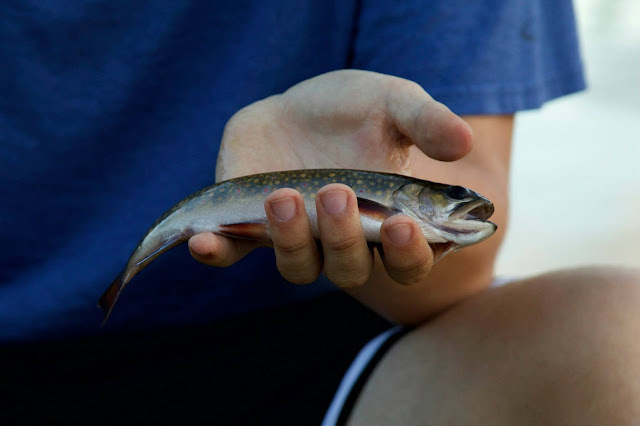 We primarily enjoy catching river smallmouth bass and taking an annual trip to Baxter State Park to catch native (never been stocked) brook trout. I will update this page from time to time with some fish pictures. Late May Androscoggin River Smallmouth - Nice Fish ~16"!